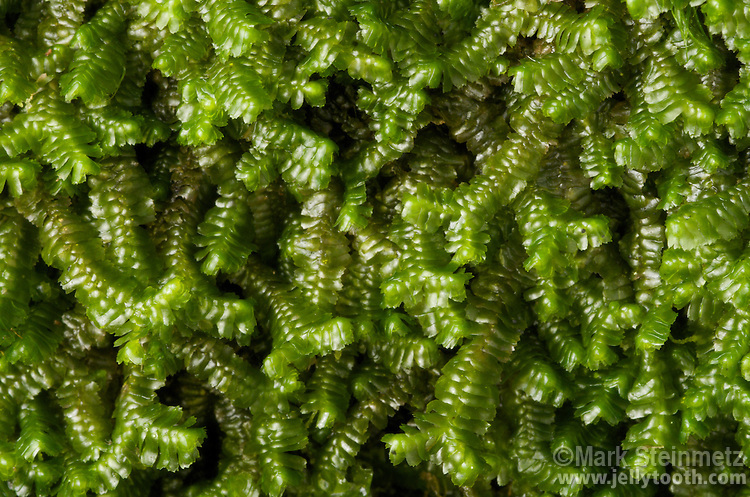 Leafy Liverwort (Bazzania trilobata). Close-up, growing on north facing slump boulder in hemlock lined hollow, Hocking State Forest, Ohio, USA. 1/2 X at 35mm.